Spring to attention - at African Relish - What's new in the Karoo. September has really seen a Spring glow at African Relish. 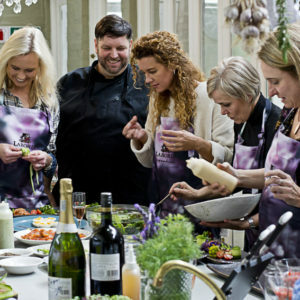 We’ve hosted two delicious food master-class courses, fed and watered the brave souls from two cycle tours, and welcomed a number of guests for cooking experiences with resident chef Camilla Comins. Our first master class of the month was with Mynhardt Joubert and Laborie wines. It was, simply, sensational. 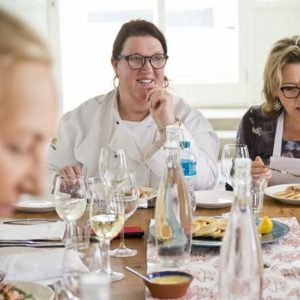 A riot of colour and fun, our guests were treated to the signature recipes and cooking style of this Kokkedoor-winning chef and cookbook author. 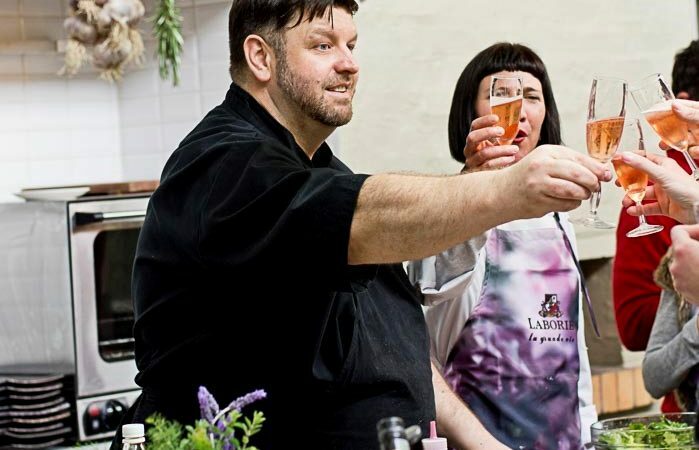 Wines and MCC from Laborie Estate were paired with all the tasty treats, so a fab foodie time was had by all. On the last weekend of September, Nina Timm took charge in the African Relish kitchen. Her dedication to simple, no-fuss cooking was a hit with guests who learned to turn out impressive meals from apparently ordinary ingredients. She also showed how to transform a simple thing like a braai into a noteworthy occasion by adding a little care and innovation to the menu. 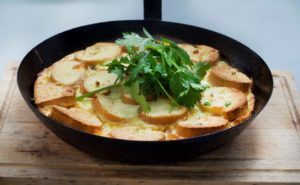 One of the hits of the weekend was the Sunday brunch dish of a savoury bread and butter pudding baked in our wood-fired oven. This inventive, moreish dish is one of the star recipes featured in the African Relish cookbook which is going to print early in October. We were delighted when Nina agreed to let us use her deceptively simple crowd-pleaser creation in those pages. Place the milk in a saucepan with the bay leaf, 1 onion and the cloves over medium heat until just scalding. Remove from the heat and set aside for 15 minutes to infuse. Grease a 2-liter ovenproof dish. Thinly slice the remaining onions. Melt the butter in a medium frying pan over low heat. Add the onion and cook for about 10 minutes until just softened. Add the chopped thyme and garlic and season with salt and pepper. Combine the 4 cheeses,then stir in the onion mixture. Place a layer of bread slices on the base of the dish, cover with a layer of cheese mixture and repeat. Beat the eggs and mustard into the milk,then strain over the pudding. Allow to stand for 10 minutes before baking in the oven for 25 minutes or until crisp and golden. Watch this space for details of pricing and availability for the cookbook. Created in the form of a soft-cover journal, it will be available at selected owner-run book stores in major cities, and through our website in late October. Something else to look out for in late October is the master class with forage-meister Chris Erasmus. This Karoo-born chef is known for his incredible Franschhoek restaurant Foliage which is based on his dedication to working with locally foraged ingredients. He is returning to the Karoo to give guests a glimpse of his cooking style and to forage with local botanical expert Dr Sue Dean. At the time of publishing this blog, there were still 3 places left on his course for the weekend commencing 26 October. The race to year-end is rich with talented cooks. 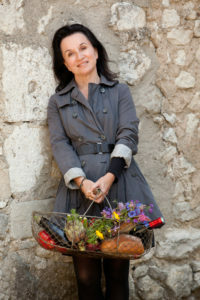 In November we are hosting the awe-inspiring Marlene van der Westhuizen who is famous both for her series of stunning cookbooks and her French food tours. Marlene’s tours of Charroux and the region around her French home in the Auvergne are a food-lover’s delight. She brings her taste for the French dining table to the Karoo for us. This course is fully booked, but we hope to lure Marlene back to the Karoo again next year. 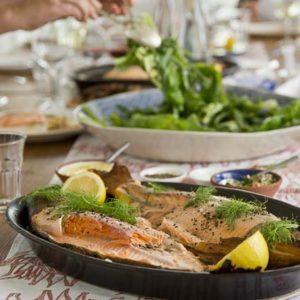 Food stylist, chef and cookbook author Hope Malau leads a master class in early December. 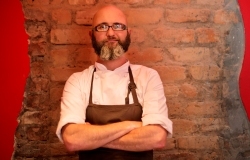 He is well known for his contemporary take on traditional South African cooking, as expressed in his book Johanne 14 published by Quivertree. 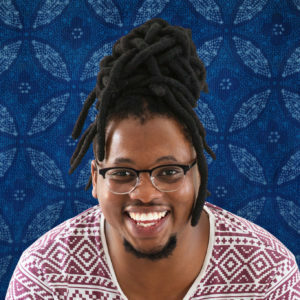 He is a two-time winner of the prestigious Galliova Food Writers’ Award, and brings tales of a township childhood to life through his food. While the pots bang and pans clang through all the cooking in master classes and regular recreational cooking classes, there’s also the buzz of cycle tours passing through. This month we hosted two cycle tours, providing a forward operating base and sustenance for cyclist tacking the routes and passes around Prince Albert. For details of the MTB Gravel Grinder tours, contact John Swanepoel, or look at his website at https://www.mtbafrica.com/karoo-gravelgrinder.html . The October tour is fully booked, but there are slots available on both December dates – the 14th and 27th. While the kitchen and the eventing side of African Relish is bustling along, we are working on a new Café concept for the Langhuis. Our idea is to make better use of the cool verandah to afford visitors to Prince Albert an experience of our garden, mountain views and Karoo hospitality. 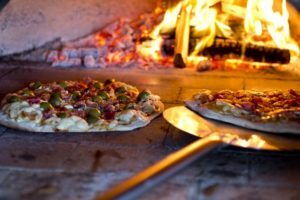 We are currently looking to open for the sundowner and early light dinner trade, with a small selection of pizzas, a couple of pastas, a salad or two and a snack platter to go with fine gin and tonics on the verandah. The fruit trees are blooming and the seasons are changing at African Relish. 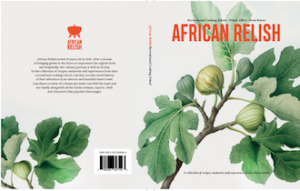 This Season is a time of change and there are exciting things afoot at African Relish this Spring. See you for a drink on the verandah at African Relish Café later in October. To book for a masterclass or cooking course.